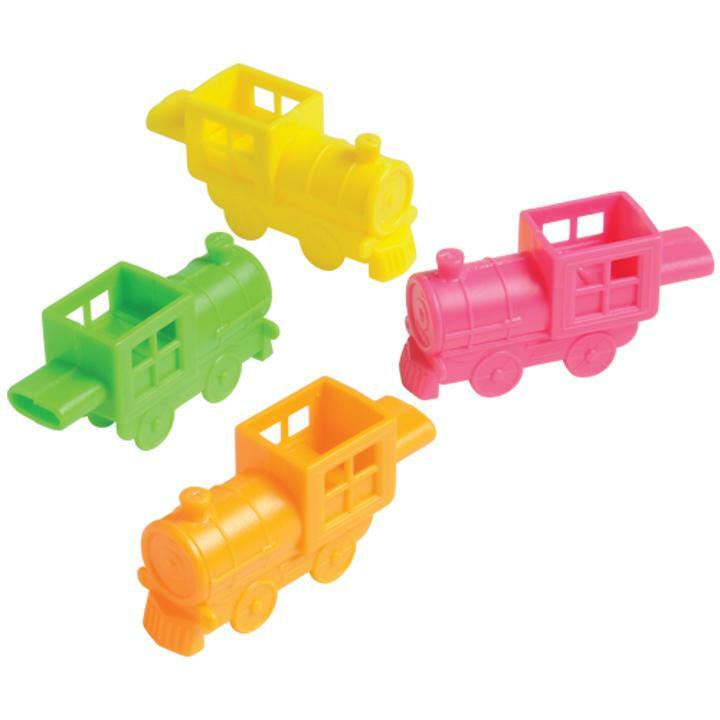 Mini Neon Train Whistles - 12 Ct. Size 2 1/2 in. L.
Choo Choo! Let everyone know you are coming down the track with this neon train shaped whistle. This noise maker will bring out the engineer in your little one while providing hours of enjoyment. Add to party favor bags as a unique gift. L: 7.0 in. W: 1.6 in. H: 7.5 in.